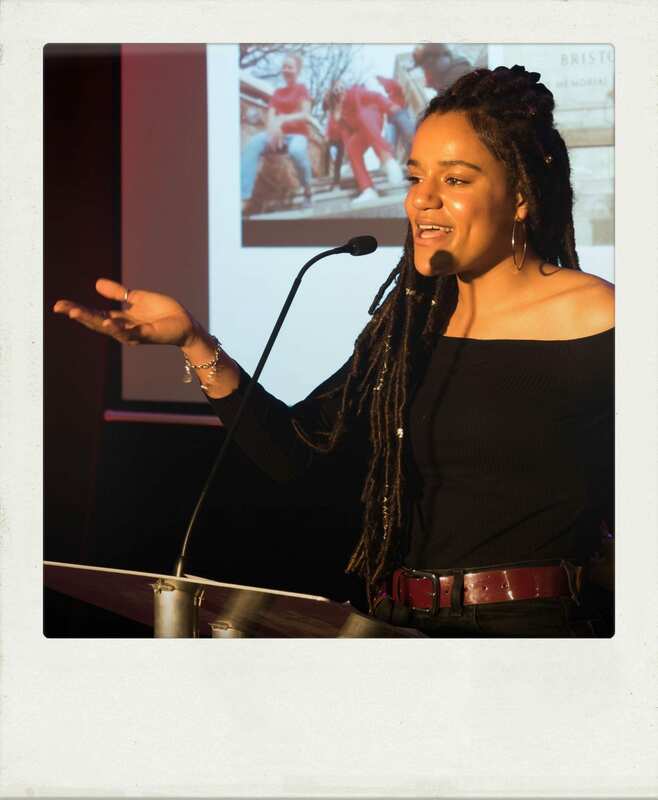 Student winner, Monica Taylor, shares her experience of the Alumni Awards Gala Dinner. Having never won so much as a raffle in my life, I never expected to receive an email saying I was to attend the Bristol Alumni Awards Gala Dinner in London with Sir David Attenborough! 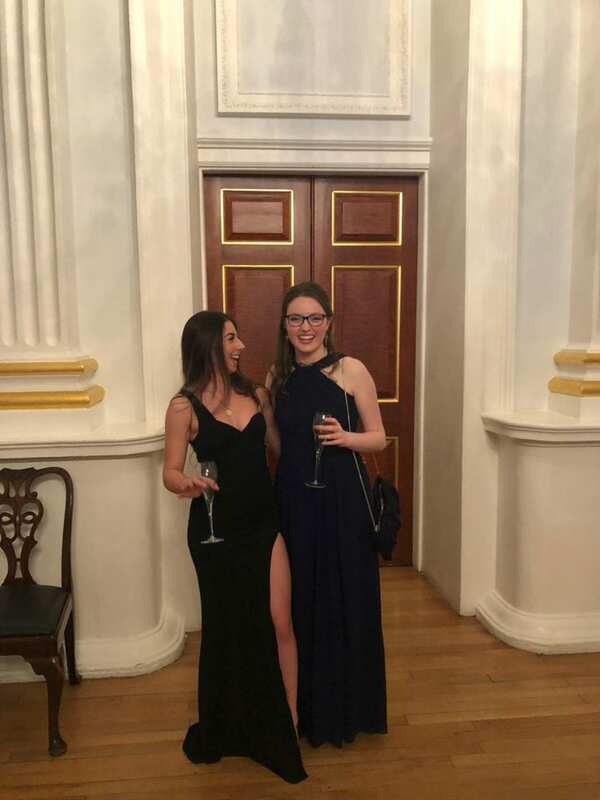 Anna and I cleared our schedules for Tuesday 12th March, dug out our best cocktail dresses and spent the rest of the day jumping up and down in excitement! Alumni Awards Gala Dinner competition, Student winners. 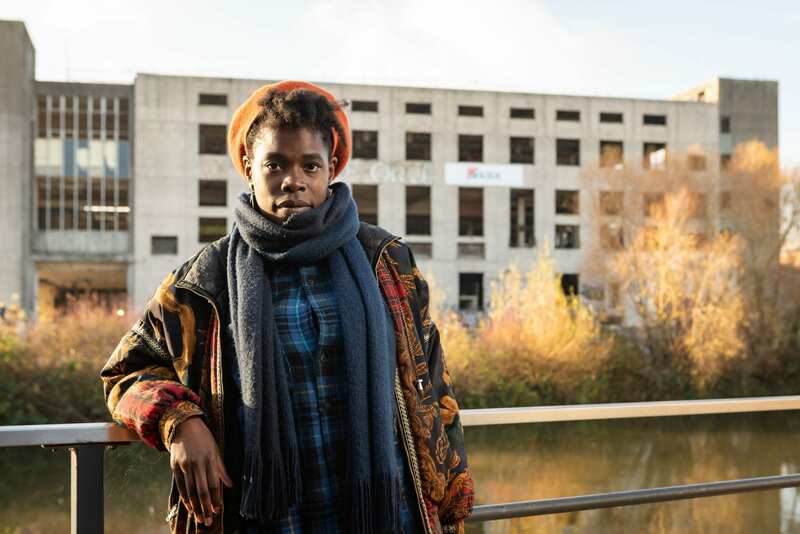 When the date rolled around, we met the other student winners and their guests on the coach and headed off to London along with the Bristol Gospel Choir – who sang beautifully all the way there, rehearsing for their performance that night. 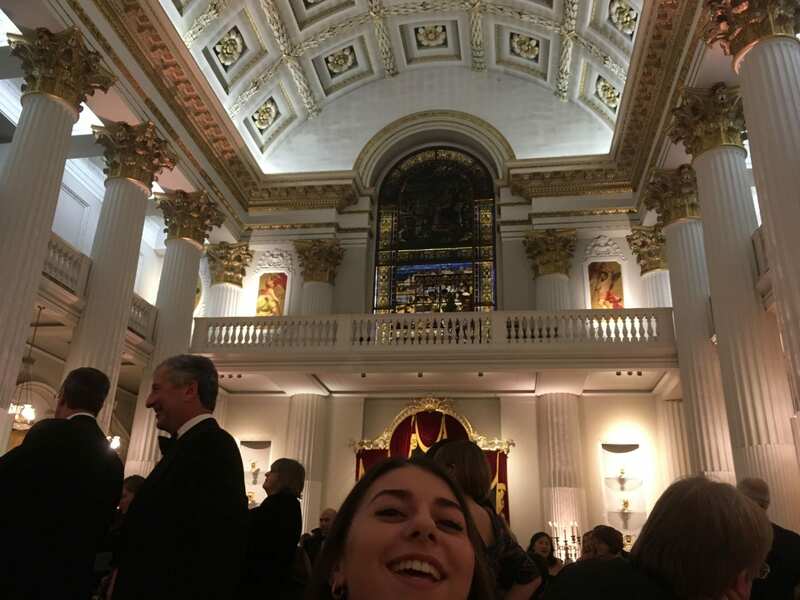 Descending on Mansion House at 6pm, the evening kicked off with a champagne reception in the Salon; an elaborately decorated room with sky high ceilings adorned with a stunning row of crystal chandeliers. 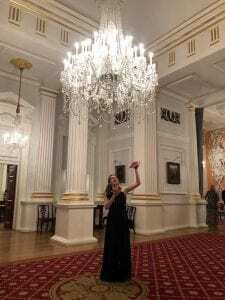 It was like stepping into Buckingham Palace! Red carpet covered the floor and glorious bouquets of flowers hung left, right and centre. 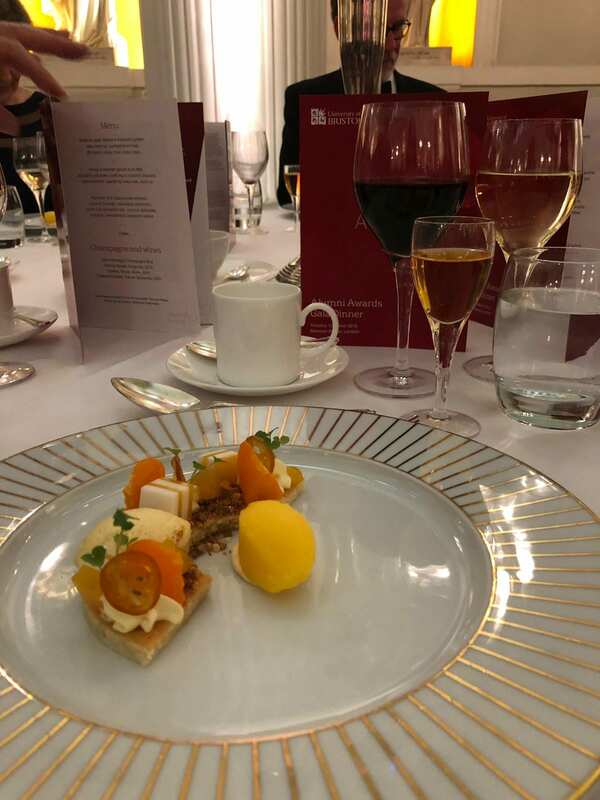 The room was filled with University of Bristol alumni of all ages and professions, including the Lord Mayor of the City of London, who was hosting the event. On the sound of a gong, everyone began to migrate into the Egyptian Hall, an even grander room with giant columns supporting an immaculately gold-decorated ceiling. We were seated on a table with some lovely alumni who we got to chat to throughout dinner. It was amazing to hear all their stories of being a University of Bristol student and the adventures they’d been on since graduating. One couple shared their heart-warming story of meeting as students many years ago, and going on to call Bristol home ever since. They were all keen to hear about our current MSci Biology projects and future aspirations. Dinner started off with beetroot, goat’s cheese and marjoram, molded beautifully into a sphere. This was followed by a honey and lavender glazed duck fillet and finished off with a dessert of mandarin and mascarpone cremeux. The wines had been carefully selected to complement the food, and each dish really was a work of art! The awards were given out between courses and each recipient gave a short speech, expressing their gratitude to Bristol for some of the best years of their life and reminiscing about old times. 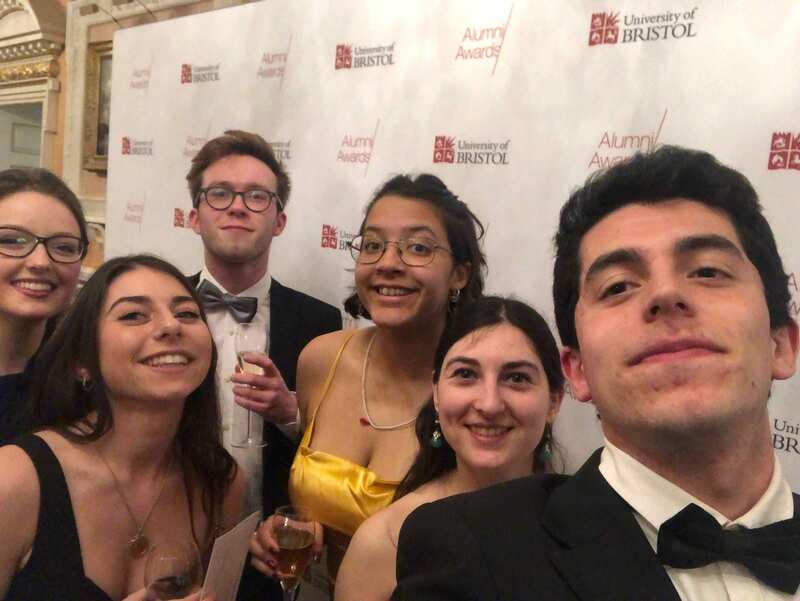 The love for the University and the city of Bristol shone through in every speech and it was an honour to cheer them on as they were recognised for their achievements. The final award of the night was presented to the legend himself, Sir David Attenborough, celebrating a lifetime achievement. We cheered him onto the stage with a standing ovation; the atmosphere was incredible and the crowd hung onto his every word. He spoke with modesty and gratitude, describing how although he is the voice behind the well-known BBC natural history documentaries, the real stars of the show are the film makers and the talented people on the ground who spend years following groups of animals – skillfully recording every detail of their behaviour. 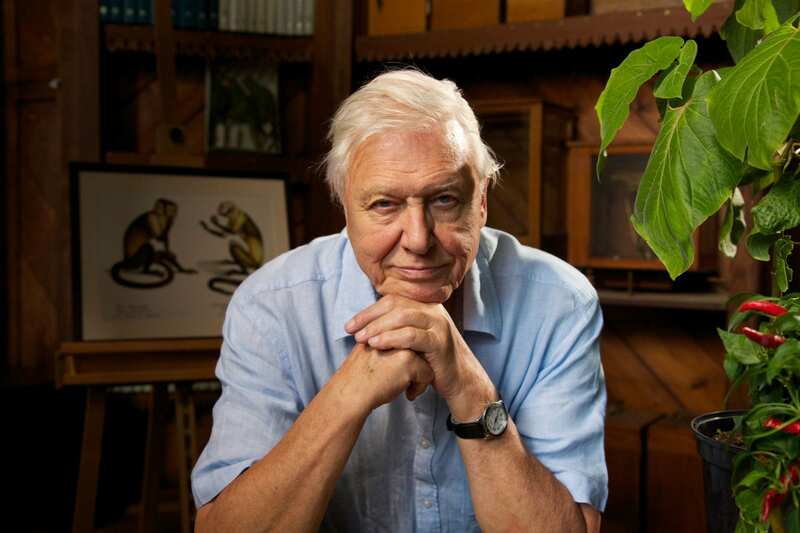 Sir David has inspired generations of people and he had an important message for the younger generation; one which urged us to come together to save the planet. His conclusion was hopeful, insisting that if we all take action, there is still time to save this beautiful planet and the species that inhabit it. The night’s finale was a stunning performance from the balcony by the Bristol Gospel Choir, after which we said our goodbyes and shared well-wishes with our new-found alumni friends, snapped a few final photos under the beautiful chandeliers and headed back to the coach. Thank you so much University of Bristol for such a wonderful, memorable evening. We haven’t stopped talking about it since! 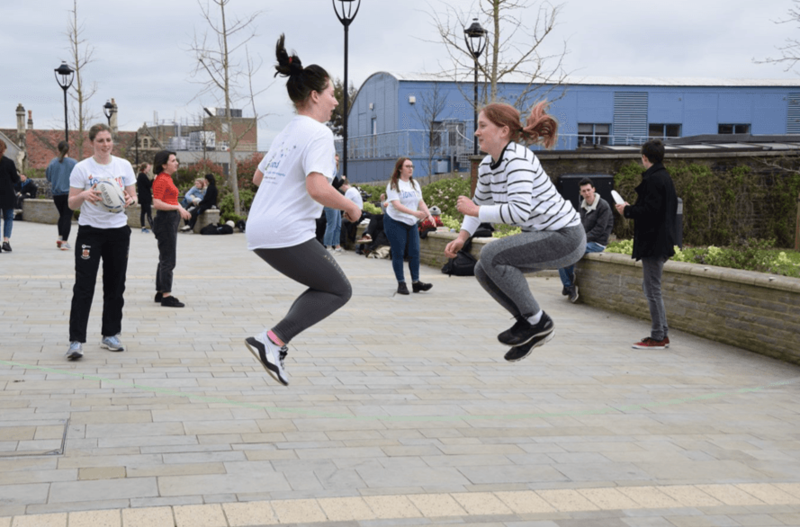 On the first day of Spring, the very first Campus Heart Fest saw hundreds of students and staff coming together at the heart of the campus for a day of fun. 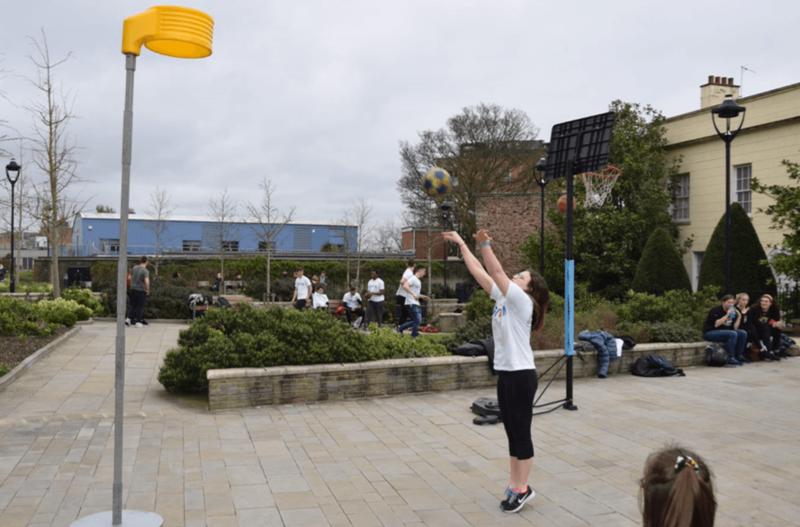 Hosted in partnership with Ignit10n, a sporting event that’s run every year by the SU’s Sports Network, more than £6,500 was raised for Bristol charity Above & Beyond. 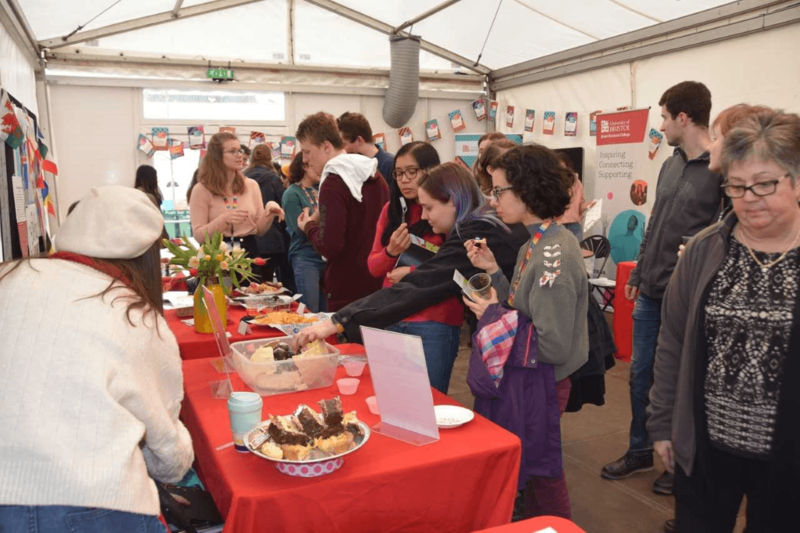 Students buckled down for 10 hours of tough sporting challenges, and visitors could sample the winning cake in the PGR Hub’s Bake Your Thesis competition. 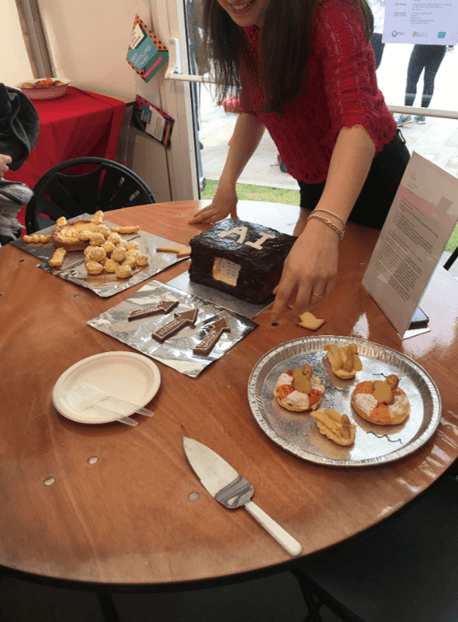 Congratulations to Elisa Coraggio for winning the Bake Your Thesis competition, and Mary Jenkinson-Finch for winning the People’s Choice vote! 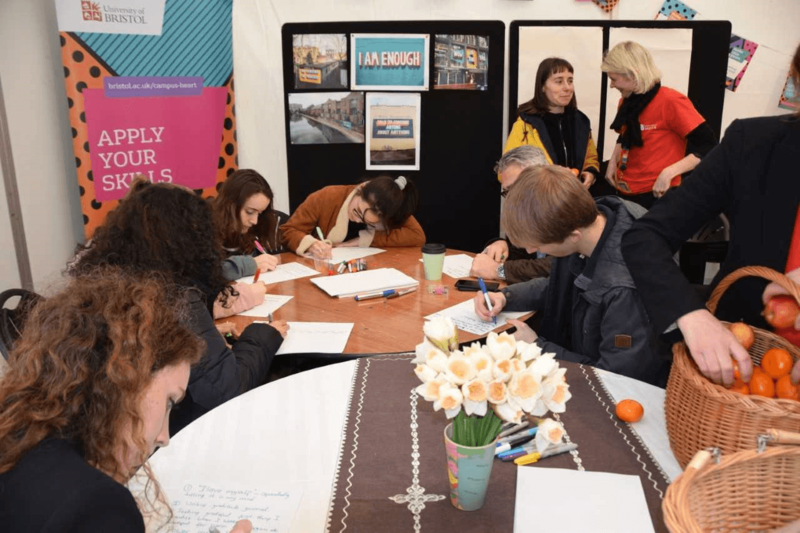 Visitors also took part in creative workshops and pop-up stands throughout the day, including the Careers Service, a stand about the New Library and the Global Lounge. 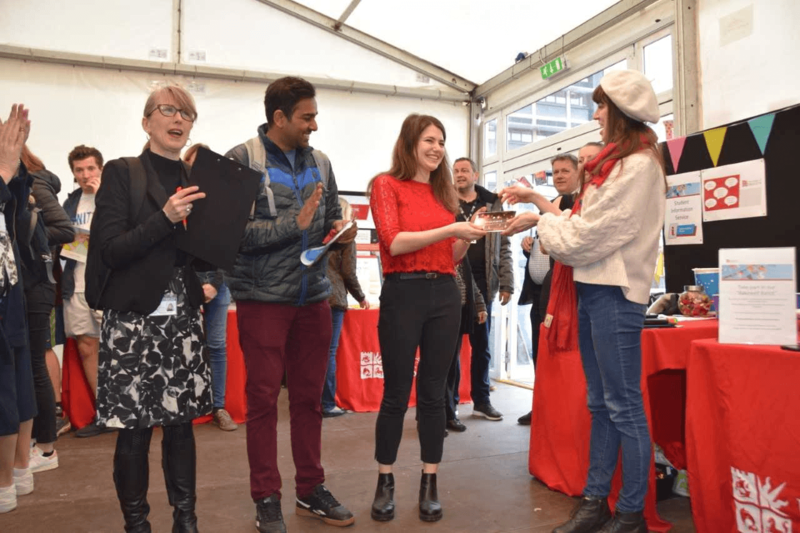 Winning entries: Elisa Coraggio, a PhD student in the Faculty of Engineering, impressed the judges in the Bristol Doctoral College’s first Bake Your Thesis competition — and received a £20 Pinkmans voucher. Mary Jenkinson-Finch’s culinary creation won the People’s Choice vote. Tasty treats: Bake Your Thesis entries (from left to right) Lydia Giddings, Elisa Coraggio, Janine McCaughey, Mary Jenkinson-Finch and Laura Fox. Posted in Competitions4 Comments on Win your place at the table. Demolition of the Temple Quarter site has begun! There’s no bang, no dramatic demolition, no explosion. So, we’ve chosen to mark the occasion with a difference, through spoken word. 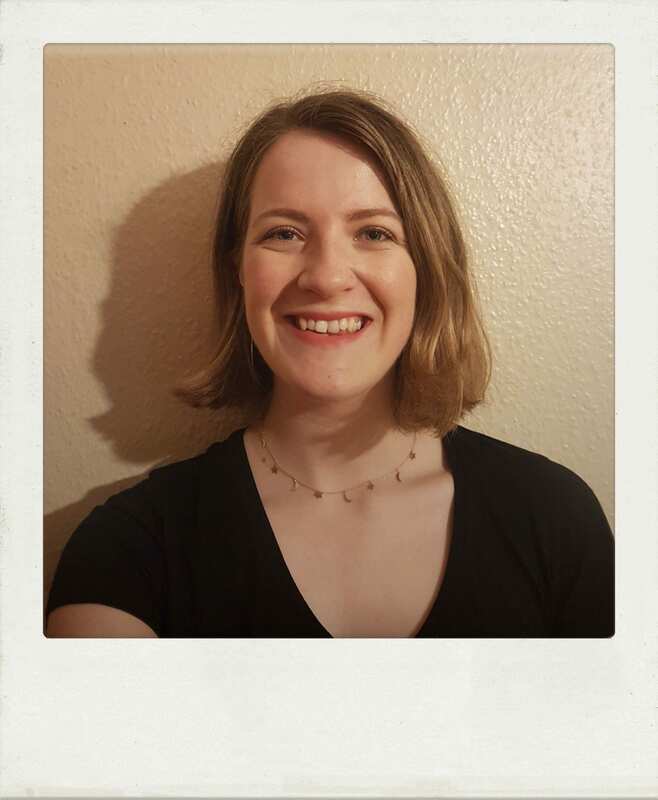 We’ll be sharing more from this former UoB English student, and our other Artists-in-Residence, who will continue to explore the stories of the local area and its inhabitants, collecting memories from the past and hopes for the future. Keep your eyes peeled and get inspired. 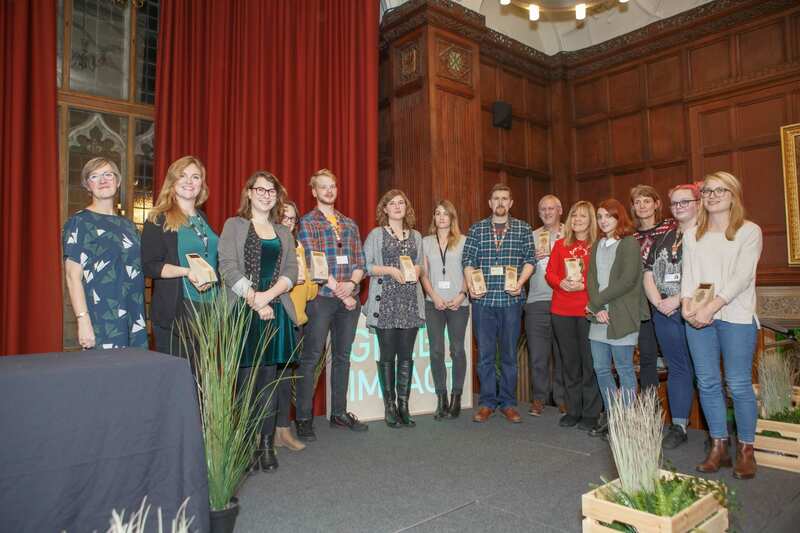 We’ve recently celebrated the 10-year anniversary of the Green Impact Awards, a University of Bristol-born environmental initiative, which has gone on to have national impact. 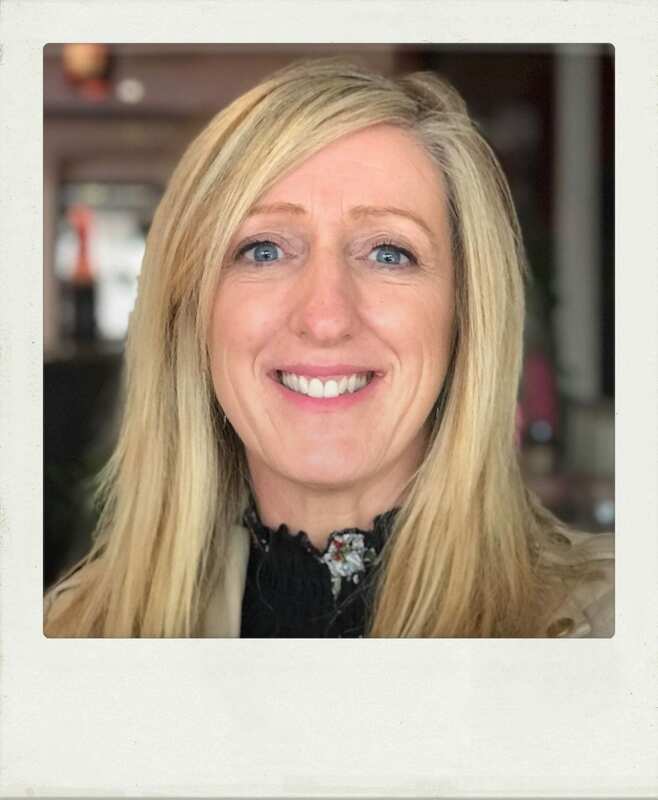 It has been adopted by over 400 UK organisations such as University Hospitals Bristol NHS Foundation Trust, North Bristol NHS Trust and 50 universities across the country. The Green Impact Scheme challenges staff to implement several actions within their departments to help the environment: things like saving energy, volunteering, using more sustainable transport and recycling. The more actions teams complete, the more points are scored, leading to a Bronze, Bronze Plus, Silver, Gold or Platinum Award. Students can volunteer as Green Impact Project Assistants or Green Impact Auditors. 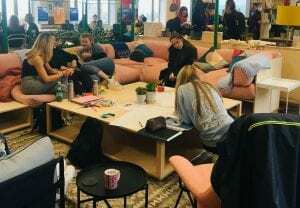 Green Impact Project Assistants: students receive certified NUS training and then use their new skills to help Green Impact teams complete their workbooks by improving the sustainability of their workplaces. This usually begins shortly after the launch of the scheme, and ends just before it closes. Green Impact Project Assistants provide ongoing assistance to teams during this period. Green Impact Auditors: students receive certified NUS training to carry out the official end-of-scheme audits of Green Impact teams and their workplaces to make sure teams have completed all actions logged in their submitted workbooks. Training and audits usually take place in one day following the close of the scheme. Martin Wiles, University of Bristol Head of Sustainability. 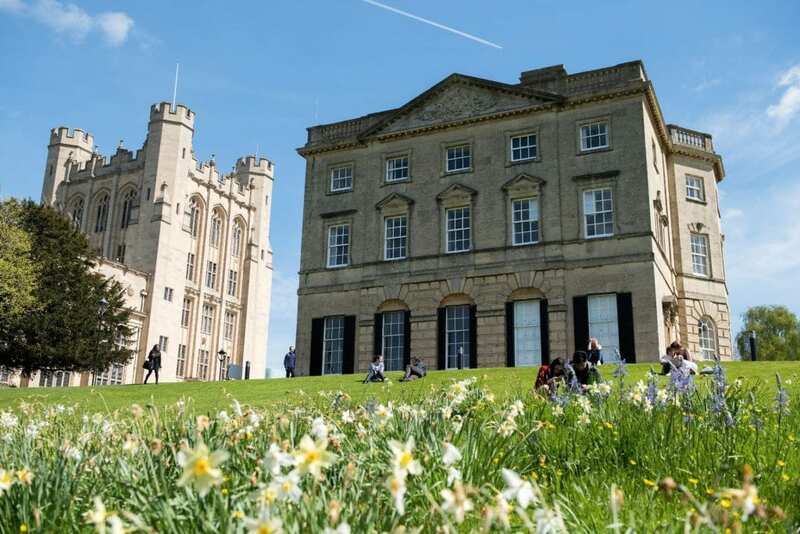 For 2019, the Sustainability Team are busy planning how the Green Impact Awards will work alongside other sustainability schemes at the University. Keep an eye on the Green University pages for further updates. Get your voice heard through your course rep! Bristol Students’ Union and our University work together to give you the best university experience possible. 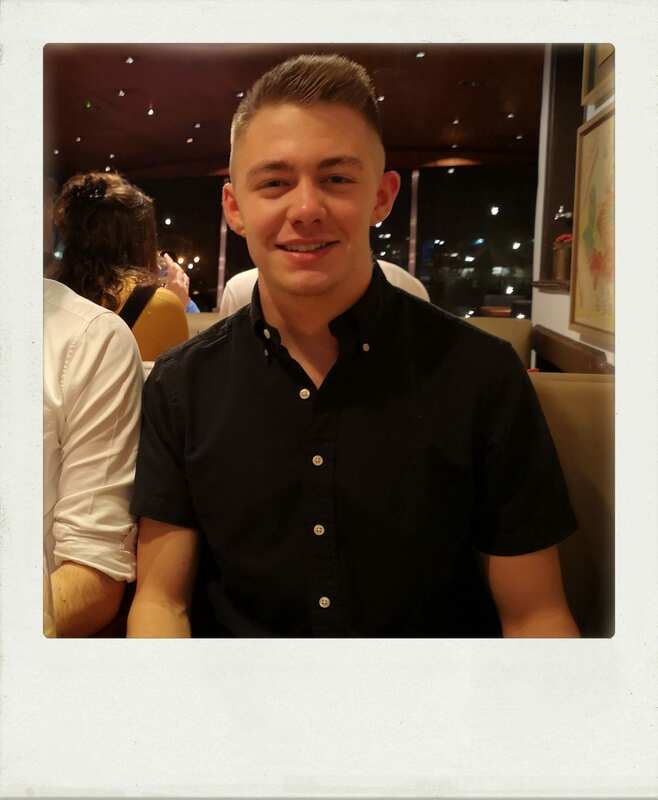 Student course reps are an important part of the picture; they play a key role in sharing your concerns and issues with teams in the University who can make a difference. Course reps are your ‘on-the-ground’ students, democratically elected to represent your academic interests and any concerns to the University. They can directly influence change in the schools they represent, making sure student voices are heard. Their job is to find out the things their course mates like or would like changed; anything from deadlines being too close together to not having enough bins in buildings. Course reps share these items with University colleagues and work out ways that they can be changed – or find out why they can’t be. They have done amazing work to benefit students: for example, getting printer credits put on course accounts, feeding into building proposals, and moving the dates of reading weeks. Staff in schools want to make student life the best it can be, but they often don’t know what the issues are. If you think of something, tell your course rep, so they can let University staff know. 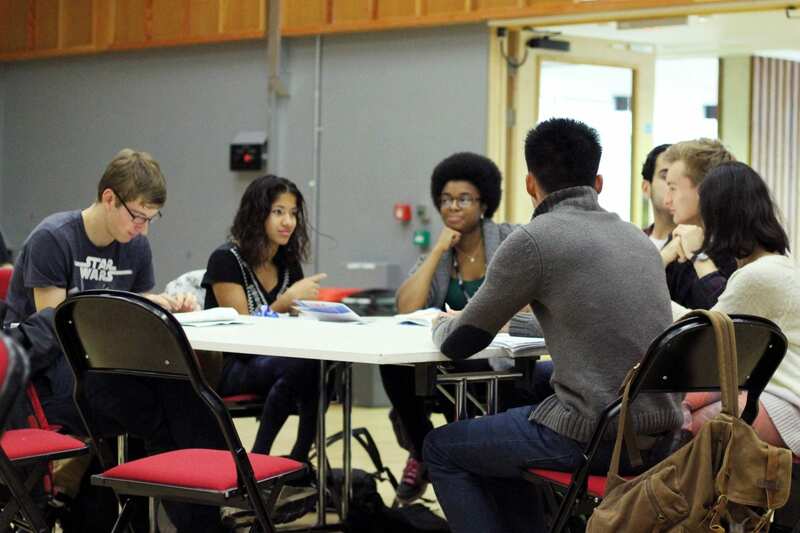 Find out who your course rep is on the Bristol SU website. Course rep elections, run by the SU, are held in March and October. Keep an eye out around campus for your chance to nominate yourself or to recommend a friend. 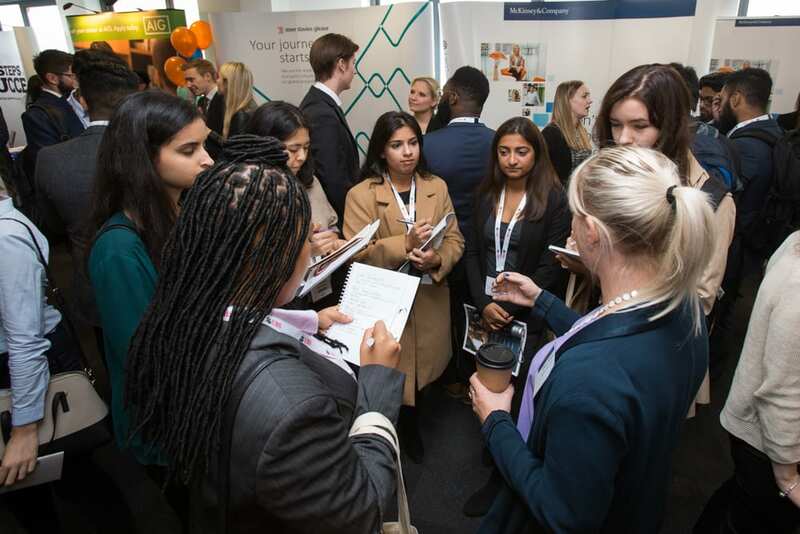 Being a course rep is an effective way of influencing change in your school and of getting a sense of what happens behind the scenes at our University. It also looks great on a CV. 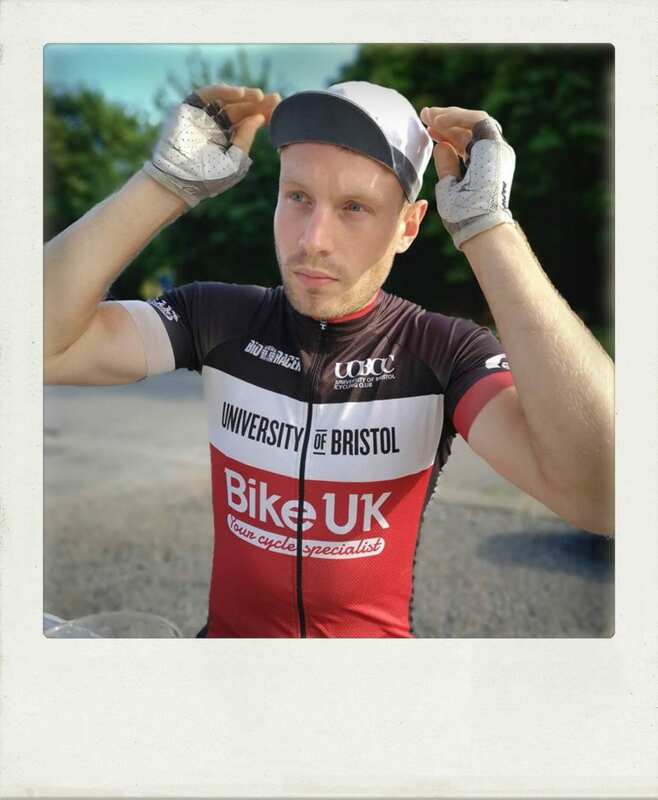 Visit the Bristol SU Website to find out more. Posted in UncategorizedLeave a Comment on Get your voice heard through your course rep! Tis the season to…take a break. Festive greetings from Professor Hugh Brady, Vice-Chancellor and President and the University Management Team. The holiday season is almost upon us. 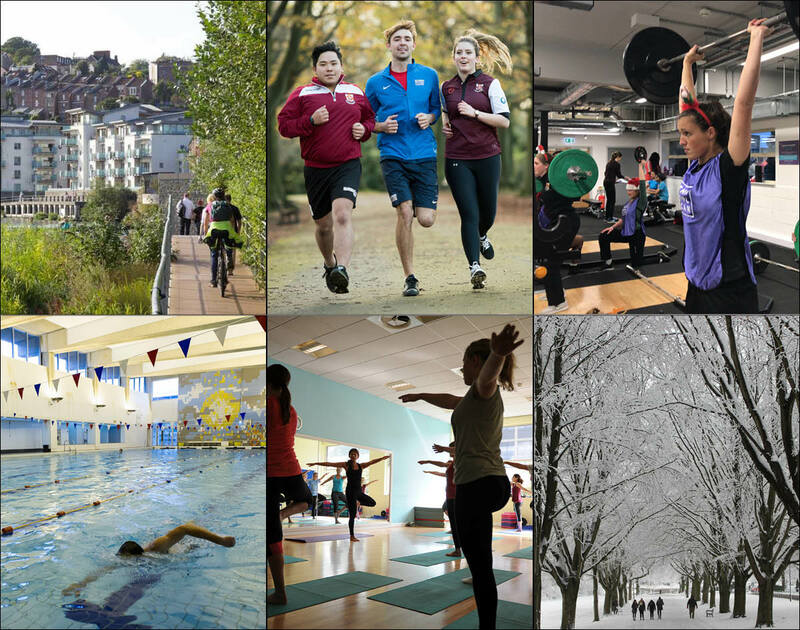 Although the University closes for Christmas on 21 December, you can still access some of our facilities over the break. Take a look at the services and support available over the holidays. 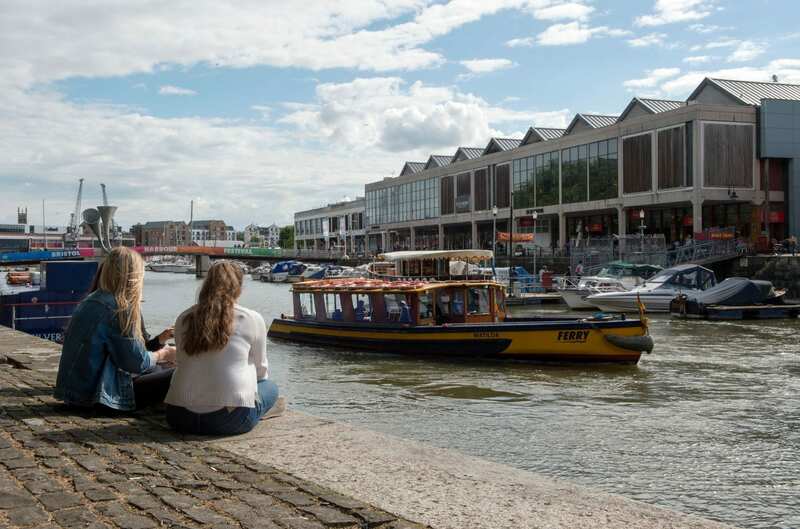 If you’re staying in Bristol during the holidays, there’s still plenty going on including seasonal activities at the newly launched Bristol SU Living Room taking place from 17 – 20 December. You can also hear more about events taking place in the local area while the University is closed and meet other students who might be staying in Bristol during this time. 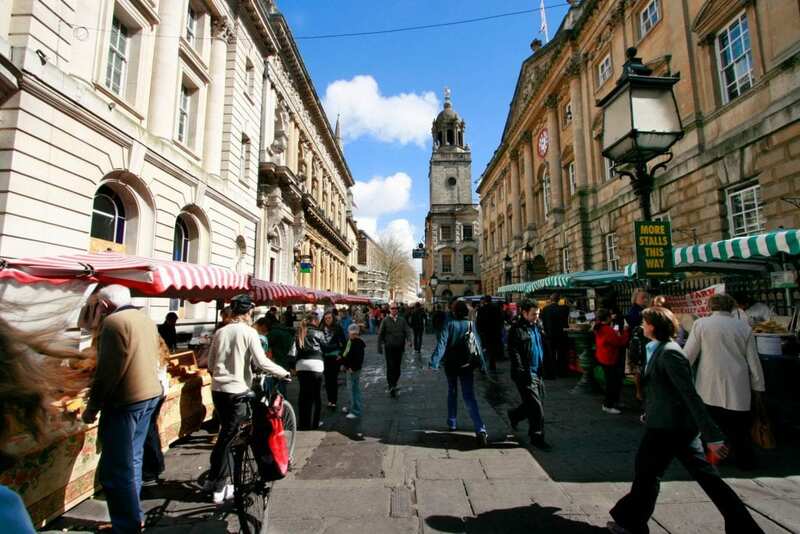 Don’t forget to join the UoB Staying in Bristol at Christmas Facebook page. All students are welcome to join and you can find out more about other events such as the Christmas lunch with all the trimmings and a Boxing Day Tour around the historic listed Goldney Gardens and Grotto. The holiday season is the perfect time to take a breather and unwind ahead of the New Year. You don’t need us to tell you about all the benefits of sport and activity; it’s well known how positive an effect it can have on your mental and physical wellbeing. 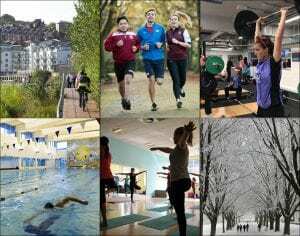 For those staying in Bristol, the indoor sports centre will still be open part of the time together with the Students’ Health Service. You can find out about opening hours here. Ease the pressure of the January exam period by getting clued up on all the academic support and tools available to you on the Study Support pages. Brush up on your revision techniques and exam preparation with these online tutorials; Revision planning, Revision techniques, Exam papers & questions and Exams & Wellbeing. If you’re feeling overwhelmed with your studies, maybe take some time to reflect on what you think could help you when we reopen. Start a portfolio with Personal Development Planning (PDP) and jot down which areas you feel you could use some guidance on. See all the Academic Support on offer for you through our Study Support pages. Many of our services are still open while you’re away from your studies; even during the University closure dates we have study areas open and some of our services running. You can see the opening hours here. We know that the festive season isn’t easy for everyone so if you want to talk to someone, you will be able to access support via our Residential Life Support Centre, open to all students for urgent issues, whether you live in Uni residences or not. There are also self-help tools to provide support, including Big White Wall. While students are not officially back until 14 January, the University reopens on 3 January and we’ll be here for you if you have any questions. You can contact your Personal Tutor, speak to our Information Point and use the libraries and study areas. From all of us at the University of Bristol, we wish you a restful break. Happy Holidays! Posted in Tis the Season, UncategorizedLeave a Comment on Tis the season to…take a break.